Image created using a nuclear label of a flat-mount preparation of the hyaloid vessels from the eye. 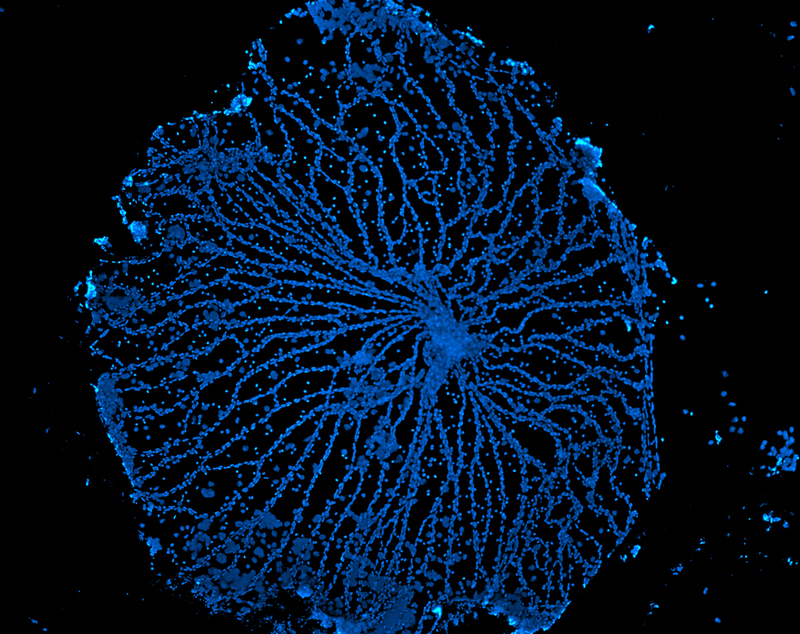 This image may conjure up thoughts of bioluminescent jellyfish, but it actually shows a network of developing blood vessels in the eye of a three day old mouse. A study in Nature last week determined that light regulates the pattern of mouse blood vessels as they develop. Observing the intermediate states of eye development is important because abnormal blood vessel development is a major cause of blindness in premature infants. Funded by National Eye Institute, NIH.